Ellen Cushing, chair of the Housing, Homelessness and Human Relations Commission, speaks at a Thursday meeting. The commission voted to renew a grant to a landlord-tenant mediation group. The city voted unanimously Thursday to renew a grant to an organization that mediates local landlord-tenant disagreements at a meeting of the Housing, Homelessness and Human Relations Commission. Open Communities, a group that provides counseling on issues raised by landlords and tenants, will receive a $40,500 grant from the city to fund the organization through Dec. 31. Last year alone, the group handled 414 Evanston calls and cases, or an average of more than 35 cases per month, according to city documents. Laura Kochevar, manager of communications and development for Open Communities, said at the meeting the group is a “value-add” to Evanston, since all landlord-tenant issues are funnelled to the organization through the 311 system. The group also handles clients from surrounding municipalities, but a majority come from Evanston, Kochevar said. The city has partnered with Open Communities since 2011 and Kochevar estimated that more than 60 percent of the group’s clients have been low-income residents. Sarah Flax, Evanston’s housing and grants administrator, said a city analysis showed it was more efficient to outsource this type of work. She added that separating the responsibilities provides residents an objective voice that can deal with both landlords and tenants fairly. Fariduddin Muhammad, the landlord-tenant liaison for Open Communities, said he works directly with tenants and landlords in Evanston to address their concerns. Once a week, Muhammad said he has “office hours” in the Lorraine H. Morton Civic Center to sit down and talk to people. Muhammad said the group focuses on preventing evictions and homelessness, as evictions often make it harder for people to get future housing. Open Communities is trying to prevent unnecessary confrontational relationships between landlords and tenants, he said. “We’re trying to work on building cohesion between tenants and landlords, so we’re trying to get on the ground in more problematic areas throughout Evanston and build that relationship,” Muhammad said. 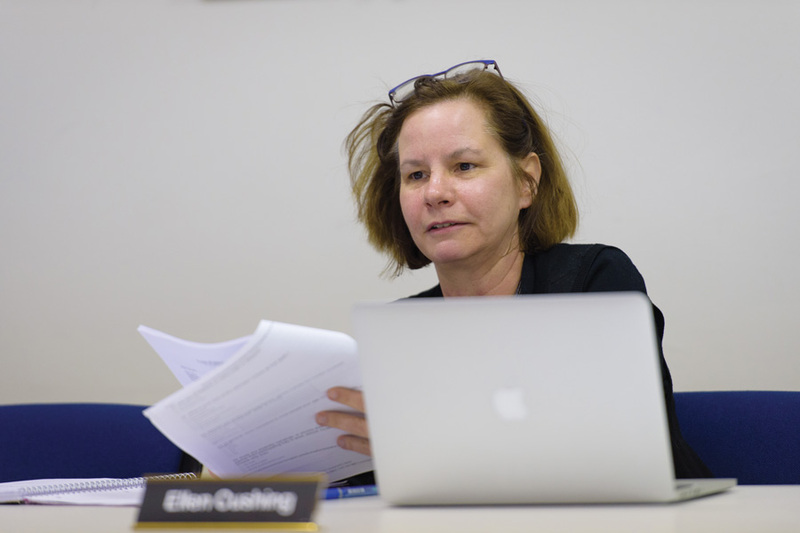 Ellen Cushing, chair of the commission, told The Daily she was looking forward to seeing the organization continue to mediate discussions between landlords and tenants.